Dan Schlessinger is a partner at Jaszczuk P.C. Attorneys, a firm he joined in 2017. 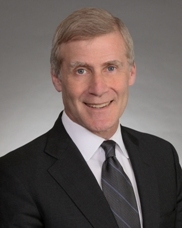 Previously, Dan was a partner at Locke Lord LLP for 39 years, where he was Vice Chair of the firm and served on the Executive Committee for many years. As the previous managing partner and chairman of Lord Bissell & Brook, LLP, Dan emphasized international expansion, while elevating the firm’s commitment to diversity and pro bono service. He continues to represent pro bono clients through the National Immigrant Justice Center and Chicago Volunteer Legal Service, twice receiving its Volunteer of the Year Award. With four decades of experience in business litigation, Dan has handled a wide variety of lawsuits and arbitrations involving many types of business and insurance disputes. Elected Board Chair of AFHU in May 2017, Dan previously served as National President and Midwest Region President. He has served as the organization’s National Campaign Chair and has been a member of the Executive, Management, Grants, Compensation, and Nominations Committees. In 2010, AFHU honored Dan with the Torch of Learning Award, which is conferred upon distinguished members of the legal profession who have achieved the highest standards of professional achievement and whose careers are equally dedicated to leadership, scholarship, and humanitarianism. An alumnus of the Hebrew University, Dan serves on the university’s International Board of Governors and is a member of the Executive Committee. In June 2013, Dan and his wife, Marcy, were recognized on the Wall of Life at the Hebrew University. Dan Schlessinger is also a dedicated advocate of higher education. He serves as legal counsel for the Educational Foundation for Nuclear. In 2006, he was honored with the Distinguished Alumni Award by the University of Illinois College of Law. He is a former president of K.A.M. Isaiah Israel Congregation and of the Hyde Park Jewish Community Center in Chicago.